Orchid Show from 04 – 06 August. Look at, learn about and fall in love with orchids. This month we’re getting excited about orchids at Keith Kirsten Waterfall Wilds. Orchids belong to one of the largest families of flowering plants, with some 28 000 species found worldwide. They have intrigued people for centuries, to the extent that orchid lovers have created an incredible 100 000 hybrids and cultivars. Now available in every imaginable hue, orchids have long had important cultural symbolism. Different species of orchid are the national flowers of Venezuela, Singapore and Belize, among others. Orchids have been used in traditional Chinese medicine (TCM) and one orchid genus, Vanilla, is of course well-known as a culinary ingredient and natural flavouring. Orchids are most popular as ornamental houseplants and not just in our homes. It’s all but impossible to open an interior design magazine without seeing orchids stylishly arranged in boutique hotels and coffee shops and they’ve become a very popular gift. Sadly, many people’s orchid experiences consist of receiving or buying a plant with beautiful blooms that quickly fade, never to reappear. So how can you best care for your new orchid and enjoy it at home? Most important (as with any plant) is to get the growing conditions right. That means moist, well-drained growing media in a shallow pot. Orchids enjoy bright but indirect light – too little and they may not bloom, while direct sunlight can scorch their leaves. Perhaps the most common mistake that people make is to over-water orchids. It’s important to pot them in media that drain well and to only give water when you can feel that the top 2 – 3cm of soil (or bark, potting soil and charcoal) is dry. Always let them dry out a little between waterings. Some people leave ice cubes on top of the growing medium (away from the roots) that can melt and slowly release water. While too much water is not a good idea, humidity helps – you may have noticed that any orchids in a bathroom with a shower tend to flourish. Orchids also like to be in a part of your house where temperatures are lower at night – this is important if you want repeated blooming. 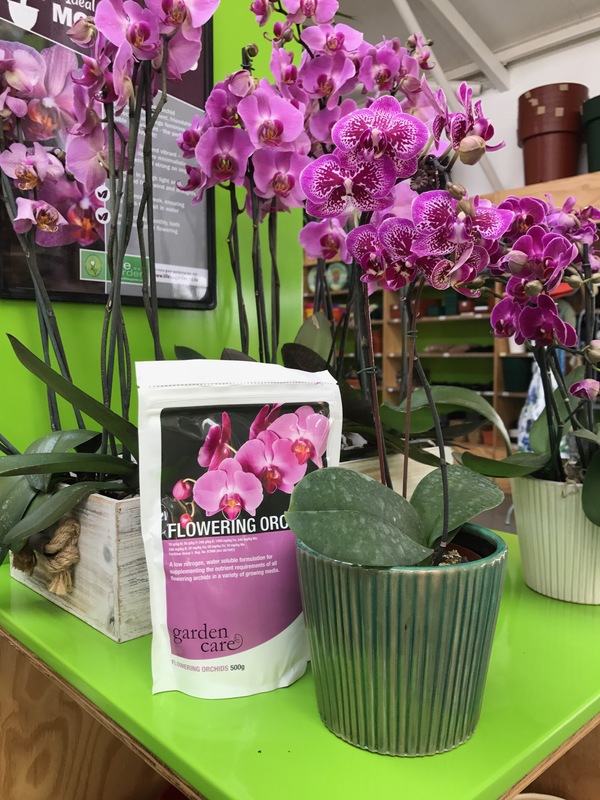 Adjust the fertilising schedule for your orchids to give them more when they are producing new growth and be prepared to repot every other year or so. Without this, your orchids may cease flowering. Save lives – plant a tree!